All signs are pointing to a great tour this weekend. Signs are going up and so is the temperature. In what will surely be our warmest and most beautiful tour yet, it begins this Saturday, Oct. 29, at 10AM and goes until 5PM. It will continue on Sunday at 11AM and again go until 5PM. Be sure to marvel at all the clean studios. We artists are by nature, mostly a messy lot. 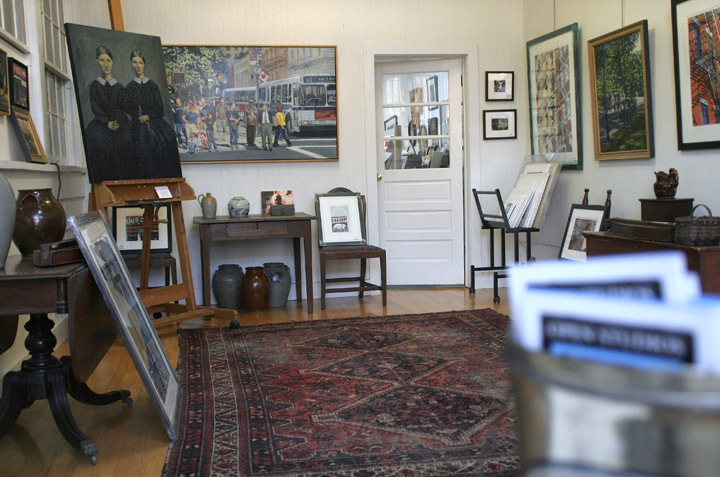 Although we take great pride in having studios with everything in order, they are truly rare sights to behold. Prepare to be amazed. The artwork is great to see, too! 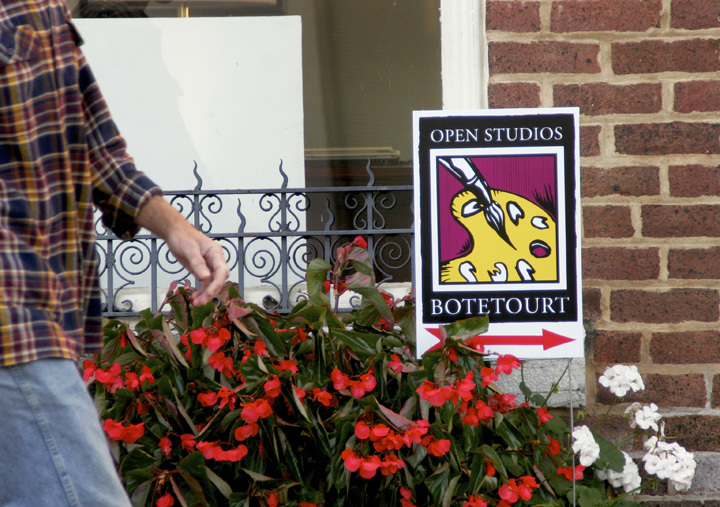 From whimsical sculpture to fine jewelry, with wood turning, paintings, etching and drawings between, there will be art to match the budget and taste of almost everyone. Gina showing off her encaustic skills. She regularly teaches at Roanoke’s Studio School. Keep you eye out for demonstrations as you move along on the 2016 tour. 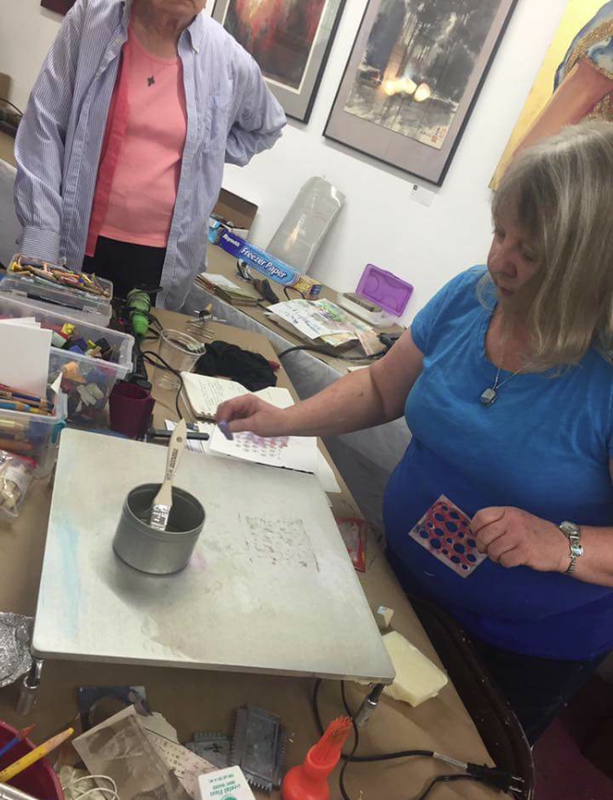 Gina Louthian-Stanley, guest of Bill White, will be giving an encaustics demo on Saturday morning. Vera Dickerson, Mark Woodie and Brett LaGue have also promised to offer a bit of “how to” over the weekend. Some others may pop up over the weekend.